2018 was the biggest year yet for Pyromaniac Press. In addition to continuing our What Lies Beyond Reason adventure Path, we advanced the Rex Draconis venture, stepped up our game on DMsGuild (with both personal and collaborative projects), partnered with Objective Secured for the SHO convention and produced an Adventurer’s League CCC, which then went on to feature at PAX Australia. On a personal level, I feel I have advanced my skills as an author/designer, and I have cultivated improved relationships with my fellow creators, the latter having an enormous impact on the former. January – woke up on January 1 with a partnership (with Phil Beckwith) license to produce the TTRPG for Rex Draconis– a Richard Knaak world. April – Temple of the Opal Goddess selected by Travis Legge and MT Black for the Dungeon Tales 1 compilation (Electrum Bestseller). May – released the 4th adventure – Sanitarium – for my epic fantasy/horror adventure path “What Lies Beyond Reason” on DrivethruRPG in both 5e and Pathfinder rules. June – Released Faiths of the Forgotten Realms with Scott Bean and Alex Clippinger (Gold Bestseller and close to Platinum). July – Contributed a dungeon for Storm King’s Barrows collaboration headed by Christian Eichhorn (Silver Bestseller). September – Wrote and premiered an Adventurers League CCC Trouble Under Winton (later released for sale) for a Perth Convention called SHO. I also ran the RPG floor for the Con with the assistance of some amazing DMs (kudos all!). September – Rex Draconis RPG for 5e and Pathfinder successfully funds on Kickstarter. Scheduled for April 2019 release (June for hardcopy). October – took my CCC to PAX Australia where I was honoured that a number of DMs ran it over the weekend. Just before the convention I released it for sale on DMsGuild (Copper Bestseller). November – curated Undermountain: The Lost Chambers collaboration with just an amazing group of people (Electrum Bestseller). December – released Undermountain: The Lost Lore with my original partner in crime Dante Cifaldi (Copper Bestseller). December 31 – released the 5th adventure – Seeking Silver – for my epic fantasy/horror adventure path “What Lies Beyond Reason” on DrivethruRPG in both 5e and Pathfinder rules. It’s a little self serving – bordering on arrogant – to comment on my own achievements as I see them, particularly when we talk about displaying or internalising traits, but this year I gathered my courage and took a big step – the largest one since actually starting Pyromaniac Press. It is a risky proposition to double down and reach further when you already have paid work commitments and deadlines to achieve. It’s risky for 2 reasons. First, you OWE supporters/clients already, and taking on more jeopardises your reputation if you fail to meet those obligations, and secondly, taking on more work means, well, more work, and the pressure and possibility of burnout mounts. You either have to know your capacity or take a leap of faith. I’m too new at this for the former, so it had to be the latter. It is a dangerous gamble. So why did I do it? At a certain point if you want to grow, both as a creator and as a brand, you need to start taking those risks, produce content (that succeeds or fails) and push out of your comfort zone. You need to network, and you need to promote yourself. And you need to be able to recognise rare opportunities and take them before they vanish. The first of those opportunities was Faiths of the Forgotten Realms, which I technically signed on to in late 2017. It was at the initial wave of mass collaborations of the guild. Prior to this a few authors had teamed up in small groups, and the massive Monsters of the Guild project (an opportunity I foolishly passed on) brought more than 50 authors together to produce a huge bestiary book. Fresh off the back of that Scott Bean suggested another mass project of Paladin Oaths – one for each of the 48 primary gods of the Forgotten Realms setting. A dozen or more authors signed on and we got to talking. The project grew, as we decided it really should include Cleric Domains too. The project got too big. Authors began to drop out quickly, and soon it was just Scott, Alex Clippinger and myself, staring at a mammoth project that by rights we probably just should have dropped. I only wanted to be a small contributor. I did NOT want to be on the hook for a full third of a book that we needed to produce over 100 archetypes for! But I’d signed on and it was important to me to keep my word. Plus by this stage I was really invested. Scott and Alex were equally invested (or crazy) so we set to work. 9 months later we produced Faiths of the Forgotten Realms. It was widely praised, resulted in several podcast features and interviews and was my first major success as a single product. To date it’s just a few sales shy of 1000, and the coveted Platinum bestseller badge. More important than the success of the final product was the opportunity and lessons learned from a long term, genuine collaboration with two outstanding creators. The three of us helped, critiqued, edited, pushed, supported and inspired each other throughout the process. No single archetype went untouched by all three of us in some measure. I learned a hell of a lot, including when to compromise, when to stand my ground, and when to trash a concept that simply isn’t going to work no matter how invested in it you are. This process was invaluable to my growth as a content creator. The second of these – also technically conceived of in 2017 – was the opportunity to work on the Rex Draconis RPG. Phil Beckwith, a very accomplished creator already, had reached out to an author he admired – Richard A Knaak – to contribute to an adventure he had created that was inspired by some of Richard’s works. Resulting from this was the idea to turn Richard’s new novel setting into a TTRPG. The setting was in its infancy, barely more than a shell, it’s details coming out in Richard’s current and future planned writing. Phil contacted me and asked if I’d like to be involved. Again a pivotal moment had arrived. I was already overcommitted, but the chance to work with a legendary author (seriously, look up Richard’s back catalogue – his influence on fantasy – particularly Dragonlance, World of Warcraft, Diablo – is undeniable) to not only write in his world, but actually contribute to the creation of a living, breathing setting was a once-in-a-life-time gift. Ideally this setting would develop as we go, and the RPG material would parallel and reflect the evolution of the novels. Regardless of the commercial success of failure of the TTRPG experiment, I knew it would be a unique experience I’ll likely not be fortunate enough to relive. And so, the licence coming into effect on January 1 2018, Phil and I set to work. A year in we are still at it, so I can’t comment on the outcomes, but again the collaborative process has taught me a great deal. Unsurprisingly different from the Faiths team, and yet in many ways similar, it has been an eye opening process receiving world updates from Richard, sneak peaks at upcoming novel material, and the painstaking process of trying to make a novel world match two sets of RPG rules that it was never narratively intended to adhere to. The Kickstarter successfully funded in September 2018, and the first products are due in April 2019. Things are currently on schedule (famous last words). The third and final ‘next step’ requires me to jump ahead a little to mid 2018, where after being involved in several successful collaborations (more on that below) I decided that I would produce one instead of just contributing to one. The next step from self-publishing solo material and collaborating in other’s projects was to manage a collaborative project of my own. By this stage I had acquainted myself with numerous creatives from the guild and beyond, and had a veritable cornucopia of talent to pitch the idea to. I gathered in a group of very diverse authors who wanted to be involved and got to it. A couple were forced by circumstance to drop out, but their replacements were just as impressive and desirable. In truth my biggest issue was that I simply couldn’t approach and include everyone I wanted to and keep the project manageable. Managing and producing a collaboration is a lot of work. Its time consuming and stressful, even with creatives (writers, cartographers and editors) that are easy to work with, meet their deadlines, produce high quality work and take direction and feedback. I can’t imagine what it’s like with a dysfunctional team. Once again though, the risk paid off, with the journey improving my experience and skills, as well as my connection to my colleagues, and the final product being something I was proud of. Sales wise it was not as successful as Faiths, but I rate it just as highly for my own personal development. In 2018 I was determined to become more involved with the RPG community in my city of Perth, and – at least for a short time – in Melbourne where Australia’s largest RPG related convention (PAX) is held. Again, with my time limited as it was, and commitments already, it’s a risk to spread your personal resources (time and energy) so thin. However, community engagement is an incredibly important element in creating RPGs. Why? Because ultimately it’s a social game. Writing can be a very isolating experience. Long hours alone at a computer with your thoughts, conceiving, refining, discarding ideas. It’s a very personal and singular pursuit, but in the end you are producing content that’s meant to be shared by a group in a social setting. It’s an oddly surreal concept really. Of course that’s just my experience. Your mileage may vary. Regardless, I found myself very alone in 2017, and writing a predominantly grim adventure path full of harsh content can lead you into some dark places. I really needed to get perspective. I began to spend far more time at my local games store, organising and running games and events, along with a strong contingent of local DMs who are as varied as they come in terms of outlook, presentation and styles. I played in and ran groups with just some fantastic people, and this not only helped get me out of my shell (and my own head) but broadened my perception on what players want from their games. The impact on my writing was (and is) noticeable, and part of the evolution of who I am as a creator. I owe a lot to the people around me on a continuing weekly basis. Engaging with the community opened new opportunities too. I’d attended a local convention in 2017 called SHO – Southern Hemisphere Open – which was advertised as mostly tabletop wargaming but had an RPG component. It was in its inaugural year and I wanted to support them despite not really following miniature wargames. It was a small but well run tournament style Con over three days (I later found out that the owners/organisers specialise in such tournaments). The wargames were impressive, but the RPG section was more of an afterthought. The handful of game masters were each running their own games superbly, but there was little organisation, coordination or direction. There was no signage either, and the play area could have been (and was several times, I saw) mistaken for private games. This set a fire in my mind. I wanted to see this grow, and – ambitious as the notion was – I thought I could be the one to do it. It is at this point I tell you I have zero convention experience. None at all. This was literally the second Con I ever attended, and I had never contributed to one, let alone taken on a role of responsibility. But by this stage my ambition was running wild and I was embracing opportunity at every turn. I approached the Con owners – Mike and Emma – with my proposal. They were amenable and I dove into yet another new world. Now this wasn’t all out of the goodness of my heart of course. I’m just not that altruistic. For my time and efforts, I negotiated having a Pyromaniac Press stall and it allowed me the opportunity to produce an Adventurers League CCC adventure, which had been a dream of mine for over a year at this point. I have another blog entry on SHO 2018, so I won’t cover that ground here, but I will say that the relative success and growth of the RPG element of SHO is very heartening, and the commitment shown by the DMs and presenters was incredibly gratifying and humbling. The next step in my meteoric rise (yes self-deprecating sarcasm is a defence mechanism) was to take my CCC to the ‘big stage’ of PAX Australia. After my attendance at SHO in 2017, I followed it up with a trip to PAX in Melbourne. The master plan was already set in my mind. Meet and ingratiate myself with Merric Blackman, the PAX AL coordinator and get my CCC to PAX. It wasn’t overly hard. As it turns out we have a lot in common (no surprises there) and Merric is truly one of the nicest and most genuine people I’ve met to date (this isn’t flattery, it’s very apparent to anyone who knows or meets him). Not only did he agree and show an interest, he edited my CCC to get it to an acceptable standard (for free I might add). At PAX 2018 my CCC was run all day, each day, by multiple DMs, alongside the official AL content supplied by the league. Again, the support and feedback from DMs and players alike was phenomenal. I’ve been playing D&D and other TTRPGs for more than 25 years and I’m STILL constantly impressed by our community. Going into 2019 I have committed to SHO and PAX again, and expanded into running at another small convention (Genghis con). RPGs are, first and foremost, about people. Like it or not, authors and creatives in the same field are competitors. There is a finite amount of disposable income in a marketplace for luxuries, and this includes games. However, given that RPGs are collaborative social experiences (for the most part) it’s hardly surprising that the creators in this space are also predisposed to being social and collaborative. 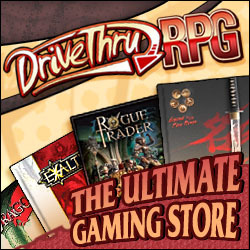 I’d entered the market through DrivethruRPG, the progenitor and sister site of the DMsGuild, where all systems are published and you are a speck in an endless sea. The DMsGuild is a beast of a different stripe – at least for now. When I entered it in 2017 I was pleasantly surprised to see a strong social media community, and even more surprised to see how cordial, helpful and supportive it was. Creators would share their ideas rather than horde them, and their contemporaries would help refine them. In hindsight, I really shouldn’t have been surprised. Toward the end of 2017 collaborations were becoming more prevalent. I’d passed on Monsters of the Guild, and after that blunder had committed myself to being more involved in 2018. Faiths was my first collab, but it wouldn’t be my last. I jumped into Storm King’s Barrows – curated by Christian Eichhorn – a collection of dungeons ostensibly designed to slot into the open world parts of the official Storm Kings Thunder adventure. It was a smooth experience. Christian handled the group masterfully, and the authors were enthusiastic and accommodating (at least form what I saw). I clashed with one of the editors – Ken Carcas – over some feedback language I didn’t like. This was really my first experience with a professional editor that wasn’t a friend. In retrospect I wish I’d handled it differently. Regardless of the perceived right or wrong of the tonal choices, he was just doing his job and my work was MUCH better for it. This too contributed to my development as a creator, and gave me a better appreciation of editing. The final product was beautifully finished and went on to be a Silver Bestseller, though it deserved more I feel. I followed this up with contributions to Alex Clippinger’s The Faithful of Eberron, an uncredited contribution to Jeff Steven’s Villains & Lairs, and culminating in managing the Undermountain: Lost Chambers collaboration. I cannot endorse this highly enough. Collaborations allow you to learn from other great writers and creators; network for better support, promotion and resources; helps you make friends; and generally have better commercial success (more on that in my sales post). While I espouse the benefits of this course, I do need to mention the lows and the failures. I have NOT met all my What Lies Beyond Reason Kickstarter commitments this year (though I did meet some). Taking the “Next Step” was at least a partial failure as it has proven to rob Peter (my initial responsibilities) to pay Paul (my new ventures). I’m extremely fortunate that my KS supporters have been amazingly patient and supportive, or at least not vocally demonstrative (I honestly expected some unhappy correspondence by this point). While I firmly believe that all the learning and growth over the last year has enabled me to produce much better content for those same supporters, it is still on me that these obligations have not yet been met. I hope I can repay that faith. The other major downside of reaching beyond your comfort zone and taking on much more is that it is difficult to sustain without consequences. 2018 has been a year of great successes and amazing highs, but it’s also brought me my share of difficulties and lows. I have been more stressed and more regularly sick this year than in the years prior. I’ve endured bouts of burnout and depression (though to be fair this is an ongoing issue). I’ve wrestled with imposter syndrome and feelings of inadequacy more times than I can count. These are not things limited to taking on more, but the load is heaviest when you are at your weakest. What I will say though is that my writing dichotomously helps lift the burdens it creates. I draw immense satisfaction from a completed project, and despite the odd bout of imposter syndrome each success bolsters my confidence and belief. My family brings me the most joy, but writing and creating lifts a uniquely personal sense of mental oppression I’ve felt my entire life. I look back on the year gone – and the 3000 words above – and am satisfied that it was absolutely worth it. So if there’s a point to the epic above, short of basking in my own self-important magnificence, I think that 2018 has taught me – or at least reinforced – a few lessons worth taking away. Now don’t get me wrong. I’ll be the first to admit that I’ve had some fortune fall my way, a ready introduction to Richard A Knaak among the best of it. However if I hadn’t made the effort to cultivate a relationship with my fellow authors – Phil Beckwith in this case – that opportunity would not have presented itself. If you look a little deeper I think most “good fortune” (beyond perhaps the most unlikely of random events) can be traced to decisions made and opportunities taken. When it’s all said and done, the work you put in will almost always improve your standing, situation and options. Engage the Community – TTRPGs are a social activity, books are read by people. Spend time with people. It’s good for you personally and it will help you develop your skills. Network and Collaborate – Everyone, and I do mean everyone, has something of value to offer. Meet, discuss, debate, agree, disagree, compromise (or don’t). Learn from the people around you. Make friends. Celebrate their successes and understand that their achievements don’t devalue yours, but instead add to your opportunities.